Your eyelids slowly shut, and everything is pitch black. The darkness is gradually filled with twinkling blue lights that steadily brighten, filling your vision with a field of cerulean fireflies across a black body of water. A voice, or what appears to be a voice fills your ears, along with the fluttering of thousands upon thousands of minuscule wings. You open your eyes and gaze upon the dark sky above, hanging over a vast, gentle ocean that rocks you back and forth . . . Although seemingly disparate in style, shoegaze and ambient music go hand in hand. Both genres deal in washed out instrumentals that ache of raw emotion, often invoking the most potent of moods. They are canvassed with indiscernibly beautiful tones that swirl together like fever dreams, enticing listeners while perplexing them at the same time. Luneworks is the newest full-length from Irish producer Jack Colleran as MMOTHS. Rather than a collection of separate songs, this record is a seamless journey through an ethereal dimension. The instrumentals consist of otherworldly electronics, IDM-tinged rhythms, and melancholic piano, topped with Colleran’s tender falsetto and distorted with a multitude of atmospheric effects. While some tracks drift within soft, gorgeous ambience, others contain irresistible grooves and evolve into heartrending giants. Above all, Luneworks is the type of release that redefines songwriting itself. Instead of presenting listeners with distinct, clear-cut compositions that tell them how to feel, Colleran has concocted a mystifying environment that can be experienced differently depending on the particular individual experiencing it. It’s an elegant, bewildering dream. If you’re seeking ethereal, shoegazey electronics, this album is for you. You step into a small, dark enclosure and sit upon a chair bolted to the ground. The door behind you slams shut and is accompanied by a distinct locking sound, plunging you into blackness. It’s a long while before a solitary light above flickers on and steadily illuminates your surroundings. Canvassing the ceiling and walls on every side are stacks of speakers, caked with dust. A thumping beat shakes the chamber, accompanied by a bassline . . . I enjoy house music as much as the next guy, but it can be difficult to find fresh innovations within the genre. Now more than ever it seems like many emerging producers simply subscribe to established styles in order to ride the coattails of their success, so it’s invigorating to stumble upon a twist to the genre. 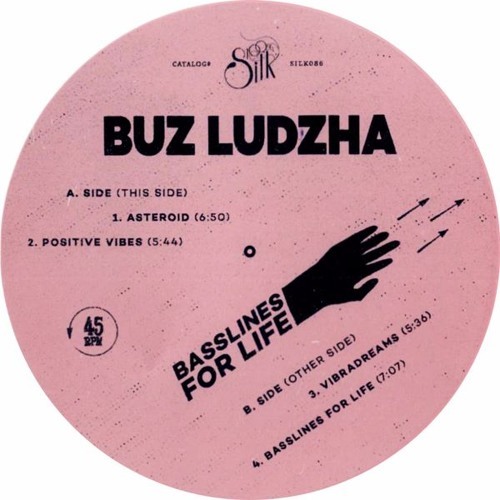 Basslines For Life is the newest release from Irish producer Andrew Morrison, AKA Buz Ludzha. Morrison’s take on house music, which he calls “tape throb,” is a concoction of the most compelling elements of the genre — stimulating rhythms, warm synth melodies, soulful samples, and irresistible basslines (of course) — processed through filters until those components sound as if they’re red-lining with fuzz and distortion. The effect is remarkably charming, and it only enhances these four already-captivating songs. The producer’s greatest advantage is his masterful ability to make so much out of so very little. He allows his best songwriting aspects, of which there are numerous, to linger in the sonic haze and rarely peak out. His control over the atmosphere in his compositions is most impressive, and it’s what truly sets his music far apart from contemporaries. If you’re seeking hazy, bass-driven house, this album is for you. You thrust your head upwards through the water’s surface with a *splash*, emerging into a blanket of sunlight. After wiping the liquid from your eyes, you look out at the river’s two shores, both canvassed with people in the act of celebration; families, elders, noble and poor alike, laughing joyously and frolicking together in the shallow water. It is the Festival of All, and so all are welcome, removed of titles. Music pours in from both sides, mixing together . . . Blessed be the music that defies rigid categorization, the type that overflows with joyous qualities to the point where any descriptor falls flat on its face. Integral are the artists that continue to experiment after reveling in specific styles, the ones that refuse to construct barriers around their creations. 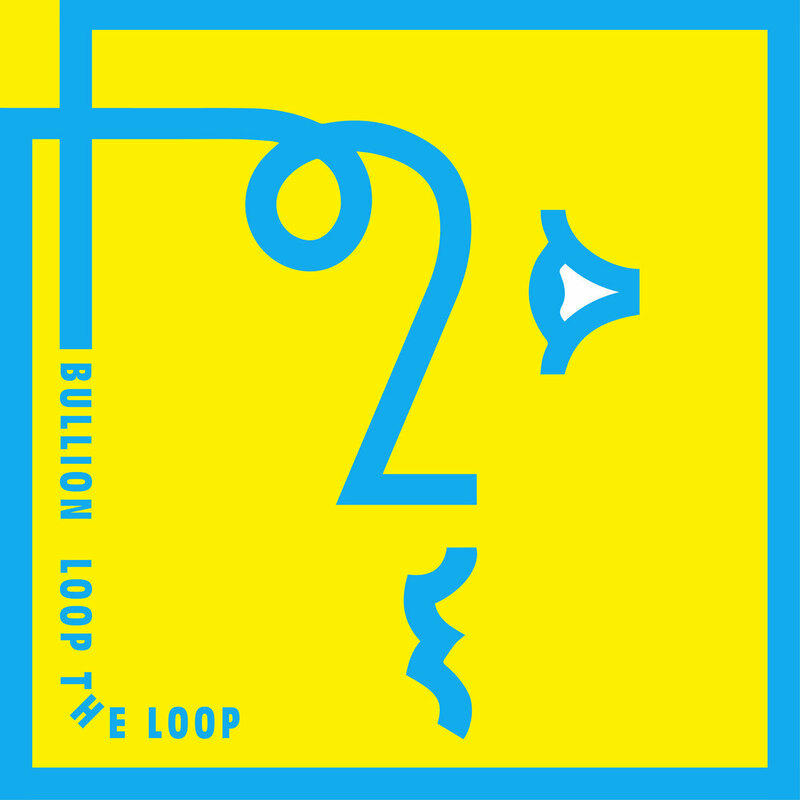 Loop The Loop is the newest full-length from West Londoner Nathan Jenkins as Bullion, a producer of this distinguished merit. Across thirteen flawlessly paced tracks, the producer/singer brings new meaning to the term ‘colorful.’ Glimmering guitar, squiggly synths, piano, sax, violin, and various mixtures of live percussion and bubbly electronics form the instrumentals, while Jenkins’ sun-drenched vocal harmonies guide the songs through loads of diverse structures. It’s both freshly innovative and pop-minded, captivating and relaxing, and it’s a ton of fun. Loop The Loop is a firm testament to Jenkins’ vivid imagination, and his mastery in illustrating those imaginings without sacrificing anything in transition from conception to completion. These are the sounds of an artistic voice that’s spent a great deal of time exploring possibilities, one that’s refined every element discovered during those explorations. If you’re seeking fun, diverse, electronic pop, this album is for you. Your eyelids part and let light fill them. You stare up at a canopy, a woven roof of lush green splintered by sunlight above. When the sun begins to set, you climb down a vine ladder to the forest floor below, your feet plunging into the damp dirt with a delicate *squish*. You walk towards a nearby lake to watch the sun in the sky disappear behind inky blackness. Glowing insects emerge from the dark, dancing upon the branches and the water’s glassy surface . . . Musicians hold a special kind of relationship with their instruments; a type of intimacy that surpasses the word “intimate” itself in the cases of many a seasoned performer, though perhaps none more so than the solitary harpist. The communion between a harp and her owner runs deeper than most, and thus allows the pair to radiate more beautifully than most. 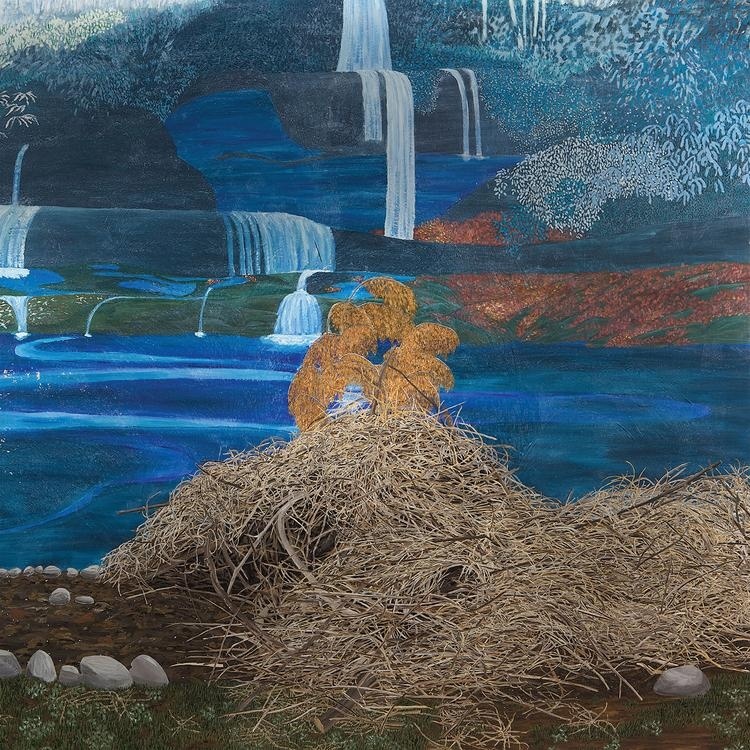 At The Dam is the newest full-length from harpist Mary Lattimore. The five tracks that make up this record were concocted during Lattimore’s trip from the east to the west coast, and consist of solo harp performances altered by a plethora of audio effects. The result is a collection of patient, meditative pieces that overflow with emotive quality and glisten like tranquil lakes during sunset. The plucked melodies sparkle on their own, and they swirl mystically when treated by digital tricks. Prior to collaborating with the likes of Arcade Fire, Kurt Vile and many others, Lattimore developed her skills as a solo performer by traveling with her instrument to countless weddings and odd gigs, seasoning her talents and proficiency with improvisation to a rare degree. At The Dam is a culmination of the time she has spent with her partner. If you’re seeking tranquil, emotive harp music, this album is for you. The sun sets on a crowded street in southeast Los Angeles. Headlight streaks of countless automobiles tattoo their brightness onto the quickly darkening roads. A hornet’s nest of car horns ricochet off the surrounding towers, and swarm the ears of every living thing in nearby proximity. You walk towards a bridge on the edge of town, and stop once you’re beneath it. The audible chaos funnels into something more cohesive, more musical, more beautiful . . . 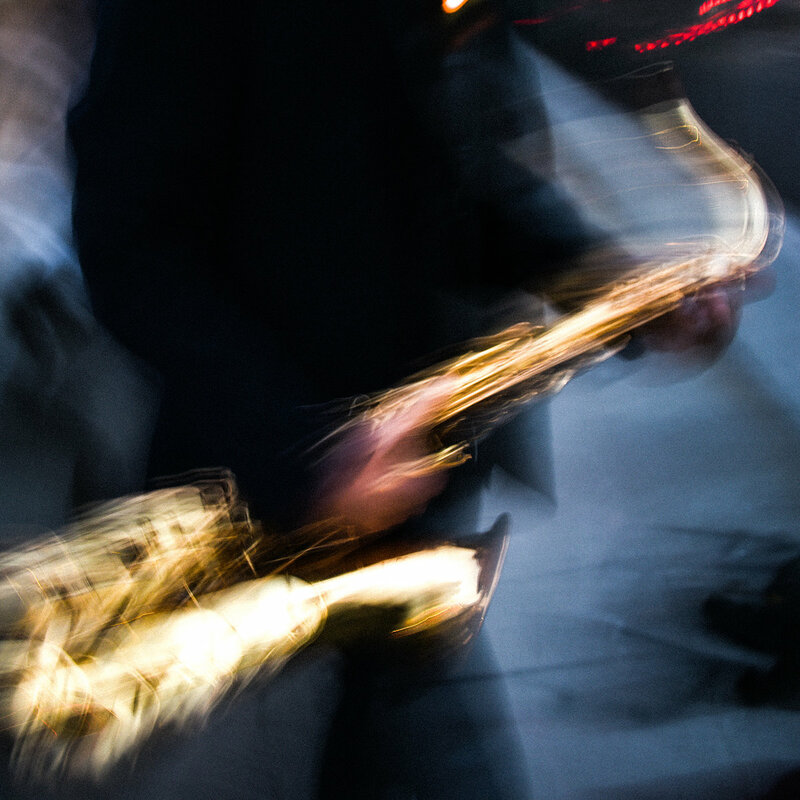 The saxophone is a mystical instrument, a musical tool whose capabilities are being discovered and expanded upon still to this day. Weirdly enough, the same can be said about the dense city of Los Angeles, a town that conceals itself to outsiders, only truly revealing its beauty to its devoted inhabitants. The two collide here. Petrol is the newest full-length from L.A. native producer/saxophone player Brian Allen Simon, AKA Anenon. With raw material captured from an improvised session with violinist Yvette Holzwarth and bass clarinetist Max Kaplan, Simon wraps the listener in cascading waves of strings, reeds, and techno rhythms. The producer took the trio’s impromptu performance and contorted the elements into its final form: a collection of emotion-filled, gorgeously ambient, jazzy electronic compositions that radiate brightly and evolve with grace. Equal parts Coltrane and Vangelis’ Blade Runner, Petrol is of a rare species. Clearly distinguished by the record title and the sounds of vehicle congestion that bookend the record, these songs aim to illustrate an unturned stone of Los Angeles culture: the duality of loneliness and community found in the light-streaked, sunburned streets of the overflowing city. If you’re seeking jazzy, ambient techno, this album is for you. You lean on a divider separating the crowd from the stage in front of you. Upon the stage sit a drum kit, keyboards, a rack of guitars, and an upright bass next to the solitary microphone, all sparkling with vivid color reflected from the spotlights above. Surrounding the instruments are a plethora of decorative floral arrangements, sculptures, and more colored lights. The room is cast in darkness, and filled with cheers. The band steps on stage, and they play . . .
Once in a blue moon, an artist comes along possessing a persona, inherent or conceived, that demands to be noticed. They often emerge in the form of powerful vocalists, highly proficient musicians, or songwriters with penchants for fresh innovation and genre-bending. More rare still, an artist that is all three of these things. 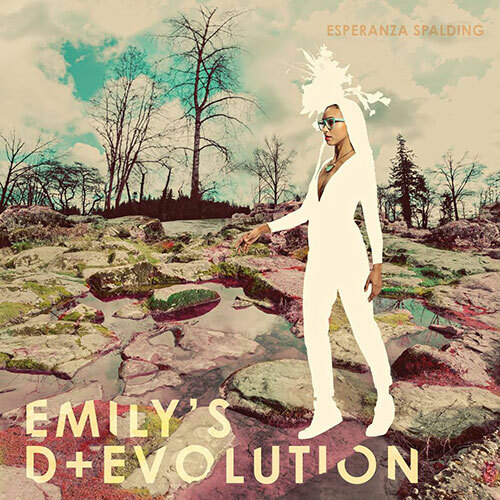 Emily’s D+Evolution is the newest full-length from Portland native Esperanza Spalding. Spalding = anomaly; a world-class upright bassist, and a singer with awe-inspiring charisma. Her band — comprised of producer/drummer Karriem Riggins, guitarist Matthew Stevens, and others — move elegantly through intricate compositions resembling funk, folk, jazz, prog rock, soul, and even musical theatre, without wholly committing to any single genre, while the dominant element is Spalding’s stunning voice. The record title refers to Emily, Spalding’s middle name and a character she created to enhance her more extroverted qualities. She sees it as her duty to serve as the “arms and ears and voice and body” for the persona, and to project the character’s messages: “fight the system”, “find your spiritual center”, “promote peace”. It’s my favorite release of the year, so far. If you’re seeking charismatic, versatile soul, this album is for you. While staring intently at the impenetrable blackness through a car windshield, you steadily turn the radio dial. The signal bleeds from neon rave synths into a ghostly haze. Rain begins to spatter the glass, and a click-clack beat fades in from the nothingness. A jagged pillar of lightning ignites the sky, and illuminates the world for a split second: you are surrounded by abandoned vehicles and wreckage. The blackness returns, and with it comes the bass . . .
Late night radio is underappreciated, particularly when the dial is tuned to a station that just barely squeezes through the airwaves with minimal clarity. There’s something so alluring about the washed-out instrumentation that peaks through the haze, and replicating that mysterious charm has become the aim for some artists. January Sun is the newest full-length from Russian singer/producer Yana Kedrina, AKA Kedr Livanskiy. These six songs sound like phantoms, complete with hauntingly beautiful synths, skeletal house rhythms, and blankets of lo-fi fuzz draped over everything. 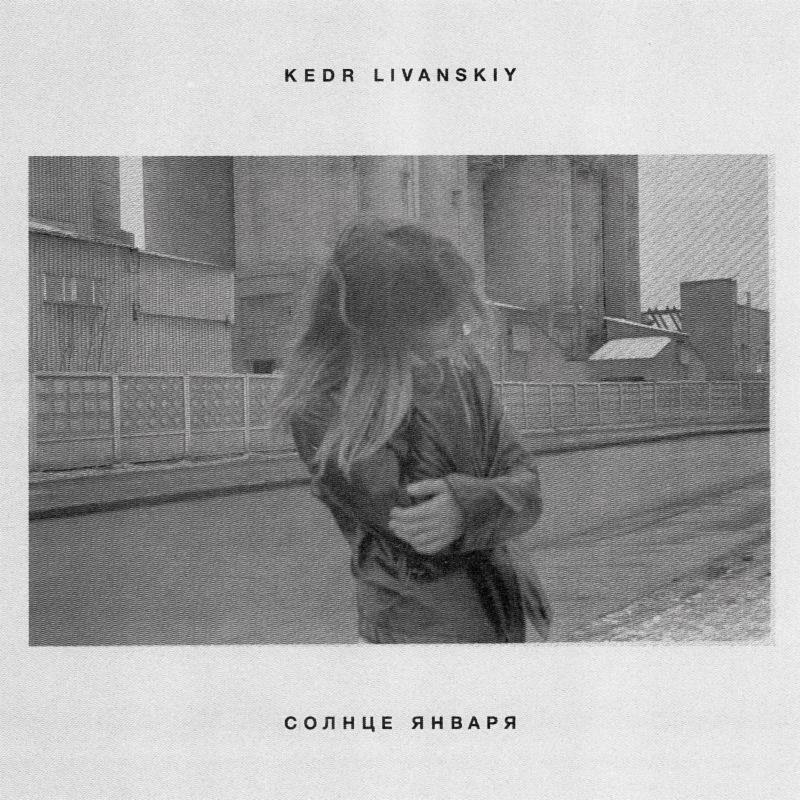 The standout element is Kedrina’s ethereal voice, gliding over each ghostly composition in both her native Russian and English tongues, and also contorted into melodic loops at times. It’s the soundtrack for an abandoned dance floor, possessed by spirits, still ringing with life. With feet firmly planted in both singer-songwriter and club-primed territories, January Sun is a rare gem. It’s initially unassuming in appearance and aches of simplicity, but it glows with gorgeous significance when absorbed as a whole. Kedrina is a uniquely charismatic presence, a truth that this brief EP shows off to a greater extent than many full-length records. If you’re seeking ethereal lo-fi house, this album is for you.